Not everyone likes the truth. And not everyone will admit that documented facts are real. And there are some among us who refuse to acknowledge reality, even as they are stepping in a big pile of it. Having traveled to, and having worked in over 100 countries, many of them dictatorships, I know what dictators look like. I know how dictators act. I know how they speak. That is why I fear this new US administration. This is not about Democrat vs. Republican or red vs. blue. This is about the future of our country. 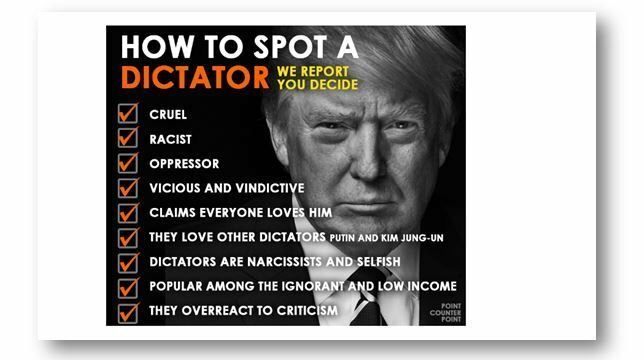 I am not calling #BLOTUS a dictator. But, I am begging everyone to open their eyes and look at reality. If it looks like a duck, if it walks like a duck, if it quacks like a duck, there’s a better than average chance it’s not a kitten. This entry was posted in Facts & Statistics, News & Views and tagged administration, BLOTUS, criticism, cruelty, Democrats, dictator, ducks, experience, eyes, facts, ignorance, low income, narcissism, oppression, racism, reality, Republican, Trump, truth, vindictive on February 5, 2017 by Ray Buchanan. As I continue to grapple with the present reality I am encouraged knowing that we have the power to speak out and make our voices heard. We have an awesome responsibility, a moral responsibility, to make sure we “forge bridges of empathy” with those most vulnerable under the new leadership of our country. 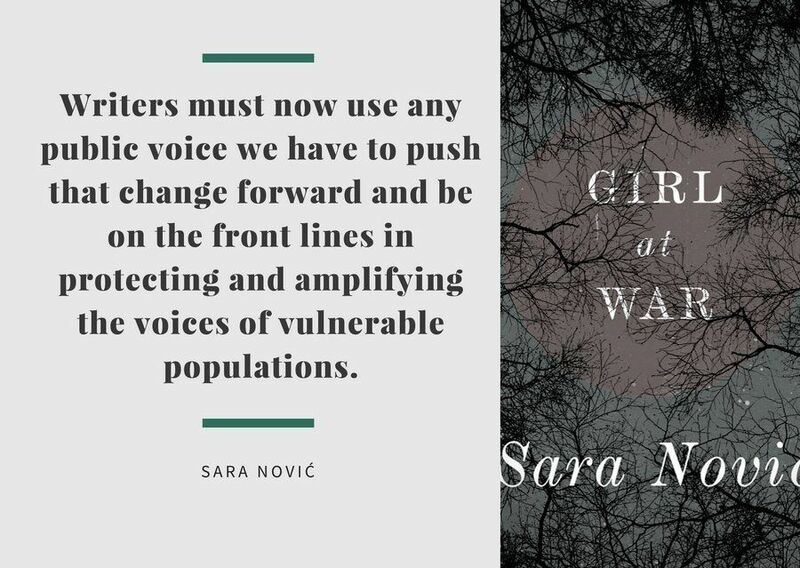 This entry was posted in News & Views, Quotes and tagged animosity, art, Elie Wiesel, empathy, front lines, Girl at War, hate crimes, journalism, neutrality, oppression, political acts, political change, populations, Sara Novic, silence, Trump, vulnerability, writing on November 19, 2016 by Ray Buchanan. We all have been told that the pen is mightier than the sword. And although I agree, words in and of themselves cannot change the world. Yes. We need to express ourselves, and speak out against injustice in every form. Yes. 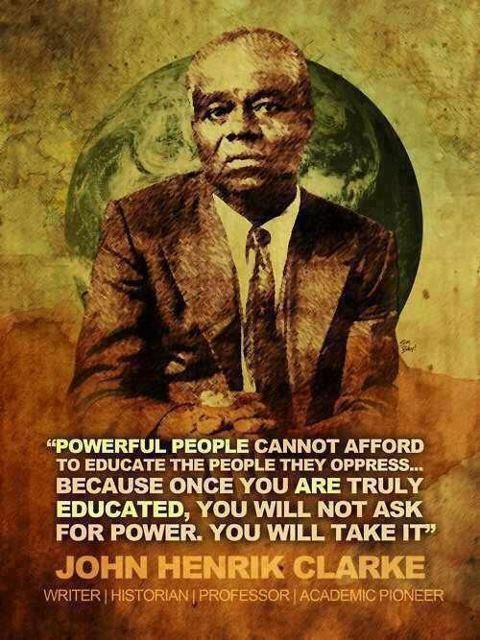 We need to speak up for the oppressed and those unable to speak up for themselves. But speaking up, speaking out, is not enough. We must come to the place where we distill our feelings into pure action. We need to translate our compassion and need for global justice into the pure eloquence of action. Only then will we achieve the global good we all seek. 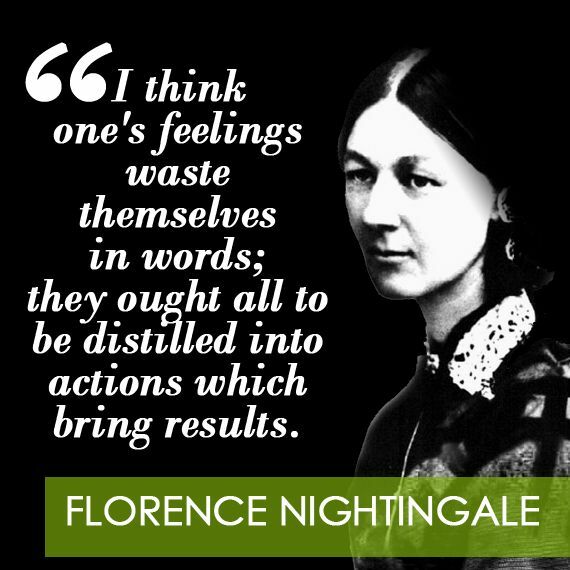 This entry was posted in Hunger & Poverty, Quotes and tagged action, compassion., feelongs, Florence Nightingale, global good, injustice, justice, oppression, pen, quotes, results, sword, waste, words on February 4, 2016 by Ray Buchanan. 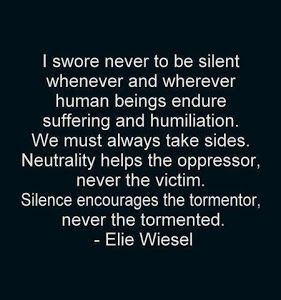 This entry was posted in Hunger & Poverty, Quotes, Uncategorized and tagged Elie Wiesel, humiliation, neutrality, oppression, silence, suffering, victims on October 19, 2015 by Ray Buchanan. How much time do we waste every day that could be used in helping change the world into a place where love reigns and justice flows like a mighty stream? Thich Nhat Hanh points out a universal truth. There are times when our endless questions cause far great harm than we can imagine. We are surrounded by those struck by the poisoned arrows of oppression, poverty and hunger. First let’s remove the arrows. Then we can find those responsible. As Shakespeare wrote, “Action is eloquence.” Make today an eloquent day. Take action on behalf of one of our family that needs your help to survive. This entry was posted in Hunger & Poverty, Quotes, Spirituality & Religious Writings and tagged action, Buddha, discipleship, eloquence, hunger, justice, life, love, oppression, poverty, Shakespeare, silence, spirituality, survival, Thich Nhat Hanh, time, truth on February 20, 2015 by Ray Buchanan.